Antoine Azar, MD is an Assistant Professor of Medicine and Clinical Director for the Division of Allergy and Clinical Immunology. 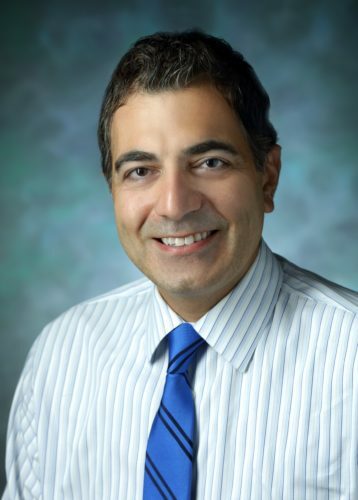 As the Tara Sakraida Parker and Richard Parker CIM Scholar, Dr. Azar created the Adult Primary Immunodeficiency Center of Excellence at the Johns Hopkins Bayview Medical Center. His areas of clinical expertise include allergic and immunologic disorders, including immunodeficiency disorders, recurrent infections, chronic sinus disease, environmental allergies and drug allergies. Dr. Azar earned his MD from the American University of Beirut. He completed residency and fellowship training at the University of Iowa Hospitals and Clinics in Iowa City. Dawn Borst, BSN, RN, is a clinical nurse in Allergy and Clinical Immunology. She graduated from University of Maryland School of Nursing in 2004. 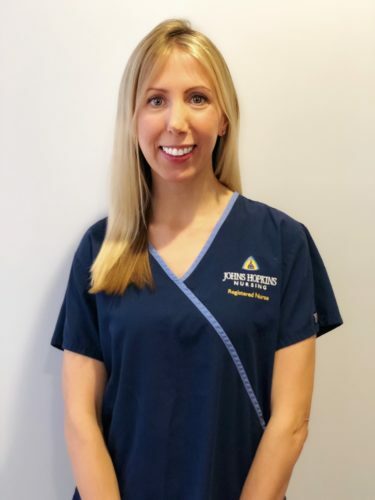 She has fifteen years of experience in patient care in areas of Allergy and Immunology, women’s health and case management. Dawn works directly with patient with immunodeficiency, and facilitates their visit throughout the evaluation, coordinating care and providing education. 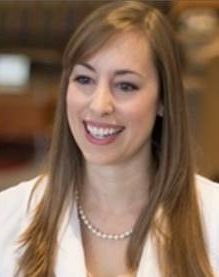 Kristin Brown, CRNP is a nurse practitioner with the Allergy and Clinical Immunology Division at Johns Hopkins Bayview. She received both her registered nursing degree and her nurse practitioner degree in adult health from the University at Buffalo in Buffalo, New York. Kristin is committed to providing excellent patient care through diagnosis, treatment, and counseling about adult primary immunodeficiency disorders.